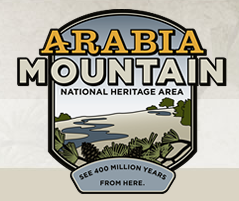 Although not in our neighborhood, the Arabia Mountain National Heritage Area it is less than 20 miles away. The winter program includes activities such as a ranger-led hikes (both daylight and moon-lit), exploration of old ruins and historical sites, archery and cooking. See the schedule at http://arabiaalliance.org/events/ for a full listing of events. Arabia Mountain includes the Davidson-Arabia Nature Preserve, Panola Mountain State Park, the Monastery of the Holy Spirit, the Flat Rock Archives, and the Atlanta Wild Animal Rescue Effort (AWARE).